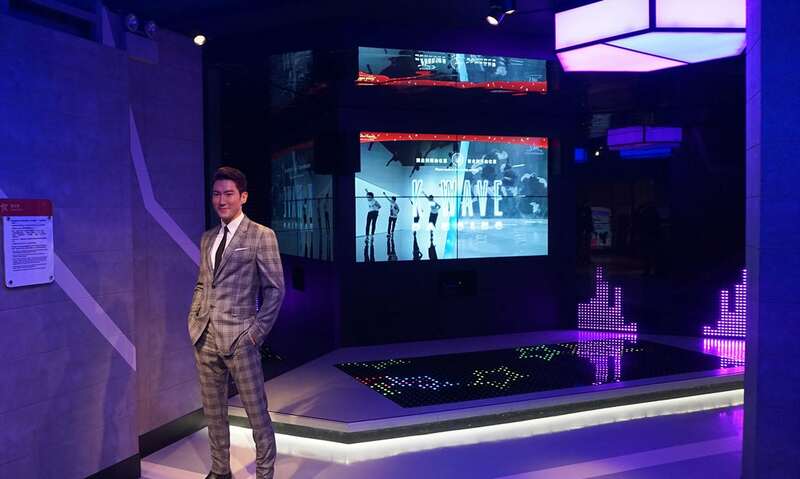 With the K-wave trend surging across the globe, Madame Tussauds Hong Kong launched the K-wave zone and considered it as the key to a better understanding of Korean culture. 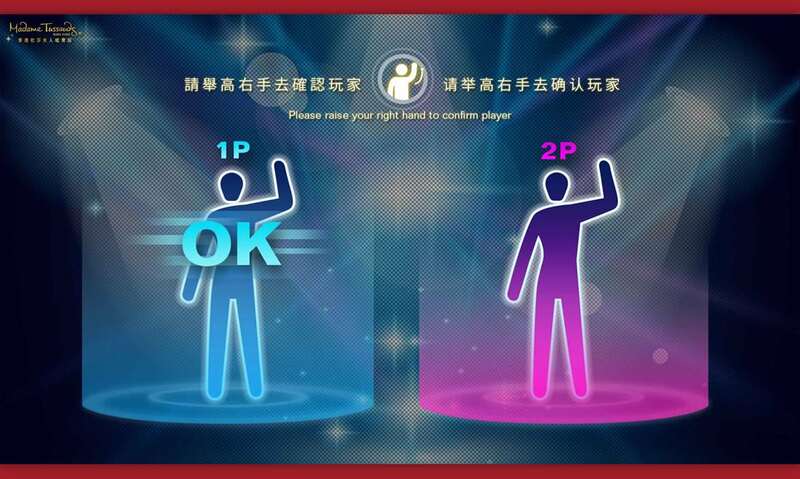 We design this dancing game to let the visitors dance like a star and have a “dancing battle” with their companion. 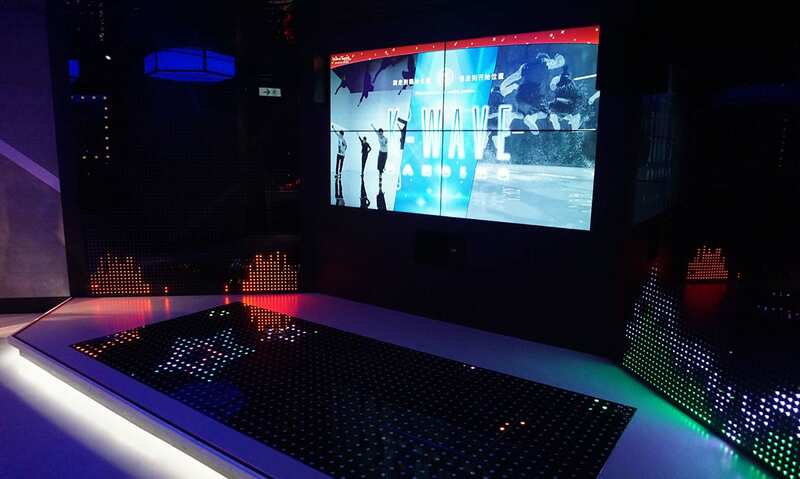 We built the whole dancing stage by putting 4 of the 55” TVs together to create a big TV wall at the center part, LED panels are all the way around the TV wall and dancing floor which generate lighting effect in harmony with the music. Kinect Technology is applied on this game, participants can play the game solo, or with a companion to compete. 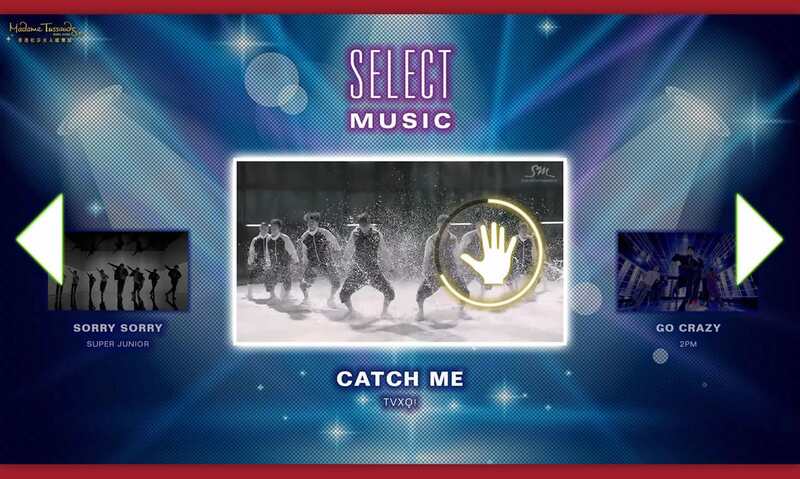 There are 3 famous KPOP songs for option, participants need to follow dance step to gain points. Result will be shown at the end of game.